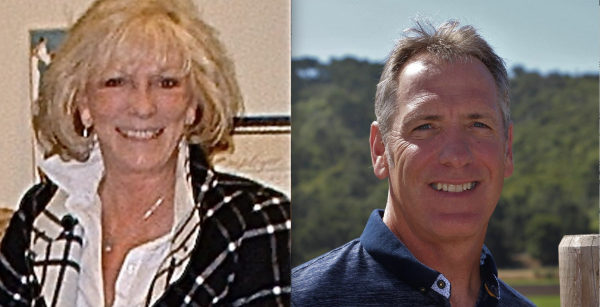 Arroyo Grande planning commissioners Terry Fowler-Payne and John Mack were motivated to run because of problems with city processes they discovered while serving on the commission. 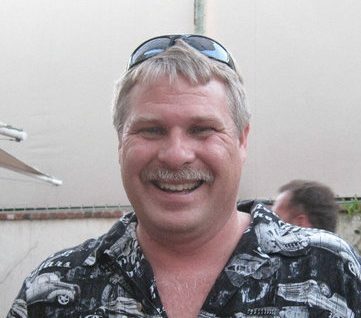 Meanwhile, Keith Storton, who retired in 2016 following a long career with the San Luis Obispo Police Department, has announced he is also running for a seat on the council. This year, the seats belonging to Councilwoman Barbara Harmon and Councilman Tim Brown are up for election. It is unclear whether Harmon and Brown will defend their seats, though there is speculation in Arroyo Grande that at least one will opt not to enter the race. Fowler-Payne, who is Harmon’s appointee to the city planning commission, is a lifelong Arroyo Grande resident. She is currently retired, having worked previously as a project manager for RRM Design. Fowler-Payne said she was motivated to run after a confrontation with Harmon. Fowler-Payne was not voting pro-development on the planning commission and that upset Harmon, Fowler-Payne said. “I go by the guidelines. If a project doesn’t meet the guidelines, I don’t care if it is a big developer or a small property owner,” Fowler-Payne said. After Fowler-Payne voted to deny a proposed project, Harmon called her and ordered her to go down to the city and resign, Fowler-Payne said. “I went down to the city, not to resign, but to get papers to run,” Fowler-Payne said. Harmon did not return requests for comment. John Mack is Mayor Jim Hill’s appointee to the Arroyo Grande Planning Commission. Mack also has a background in planning and architecture. He has lived in Arroyo Grande for 30 years. Arroyo Grande is currently running with a budget deficit. Mack said concerns over the budget have motivated him to run a second time. Storton, an Arroyo Grande native, has lived in the city for more than 40 years. He has served on a variety of committees, including Arroyo Grande’s Architectural Review Commission and the Parks and Recreation Commission. The former law enforcement officer says he is not driven to run by “what’s wrong with our city,” but rather by “what’s right with our city.” According to Transparent California, Storton is currently receiving an annual pension of about $150,000 from his CalPERS retirement plan with the city of SLO. Meanwhile, Arroyo Grande Councilwoman Caren Ray has announced she will challenge Mayor Jim Hill for the city’s mayoral seat. Ray is in the middle of a four-year term on the council. If she were to win the mayoral election, it would vacate a council seat. Born in Arroyo Grande, 30 years in Arroyo Grande, most of life in Arroyo Grande, I shutter every time a hear these statements from candidates. My Back Ground is in Plans too, I have seen Mr Mack in action, He has a ego.. He likes to Lord things over on people, It’s time for fresh faces in city control, That does not incl. Ray as Mayor, or Mr Mack. These people , want to throw their weight around. By enlarge they are not good for the city. Mr Brown needs to retire, I went to AGHS, & Paulding , the time has come to clean things up.. A new Broom sweeps clean ! If you want to see clowns go to the Circus. As this story confirms, Barbara Harmon is a corrupt politician. Corrupt or clueless and easily manipulated? In addition to being a law enforcement officer, Keith Storton rose to second-in-command with the San Luis Obispo Police Department, and was the acting Chief of Police prior to the arrival of the current Chief. Keith is thoughtful, compassionate and professional. His reputation within the community is impeccable. While private sector experience is definitely an asset, in my opinion, Keith’s leadership experience at a municipal level is invaluable. As a 34 year resident of Arroyo Grande, I’m excited that Keith is interested in sharing his talents and strengths with the city. I enthusiastically endorse Keith Storton for City Council! Mr Storton May be a hulluva nice guy. But with pension liabilities being one of the biggest expenses for the city, will he be able to cut what needs to be cut when he’s pulling down $150k/year for life?